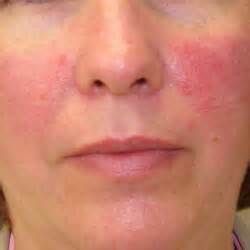 Rosacea is an inflammatory skin disease that causes facial redness. You may mistake some of its characteristics — small, red, pus-filled bumps or pustules — for acne. 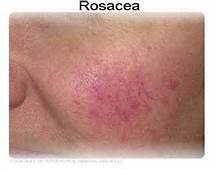 In fact, rosacea has been called adult acne or acne rosacea, but the disease has little to do with the pimples and blackheads that commonly afflict teenagers. It's also a misconception that this red-faced condition is caused by drinking alcoholic beverages, spicy, hot food, and using extreme hot water.